YSL Archives - Do You Speak Gossip?Do You Speak Gossip? Many posts ago, I presented you with my wishlist of my most coveted items for this spring. While looking at those pictures my love for one specific item from this list grew bigger. Of course I’m talking about the Arty Oval Ring by Yves Saint Laurent. After much thought, I decided to order it online from Net-a-Porter, but I wasn’t sure about the right size. I don’t want to bore you with many details, so I’ll just say that I did order it (with the help of my boyfriend and his credit card), but there was a problem with the shipping details, while at the same time, the item was being sold out, especially after a free-shipping promotion they ran for a few days. So, without any news from NAP for 2 weeks, I was sure that my order wasn’t going to be delivered. Waiting for their email only made me to want it even more. By the end of last week, my hopes were all gone. The ring was sold out in this colour and in all sizes, so I assumed that my first attempt to buy something online had failed. So last Friday, I met with my bf and he said he had something to show me. 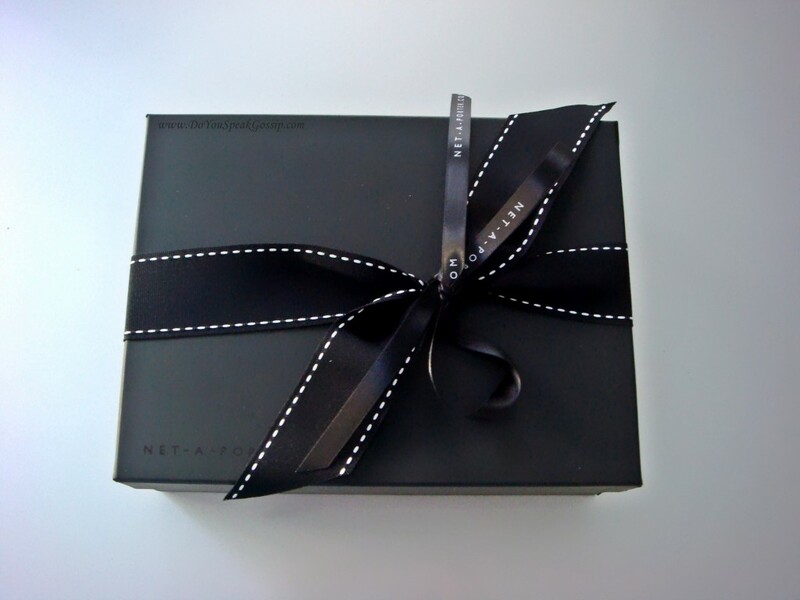 Yes you guessed well, it was a gift-wrapped package from Net-a-Porter which contained The Ring (not the one from LOTR of course :P). I couldn’t wait to open it, but it was so nice that I wanted to take some pictures of it first, so I can share them with you!